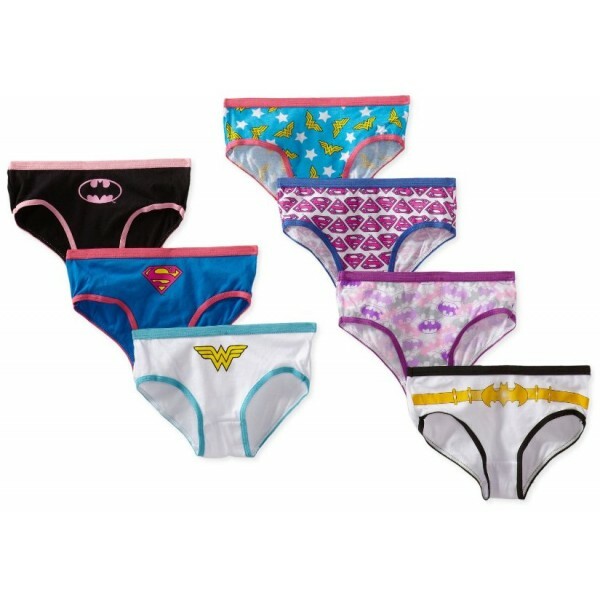 Your little girl can run faster and jump higher in her new DC Comics briefs! She can imagine herself as one of the most powerful of all the female Superheroes: Batgirl, Supergirl and Wonder Woman! Seven different designs in all. These briefs are made of 100% super soft, combed cotton for all day comfort. They are available in girls' sizes 4, 6, and 8. 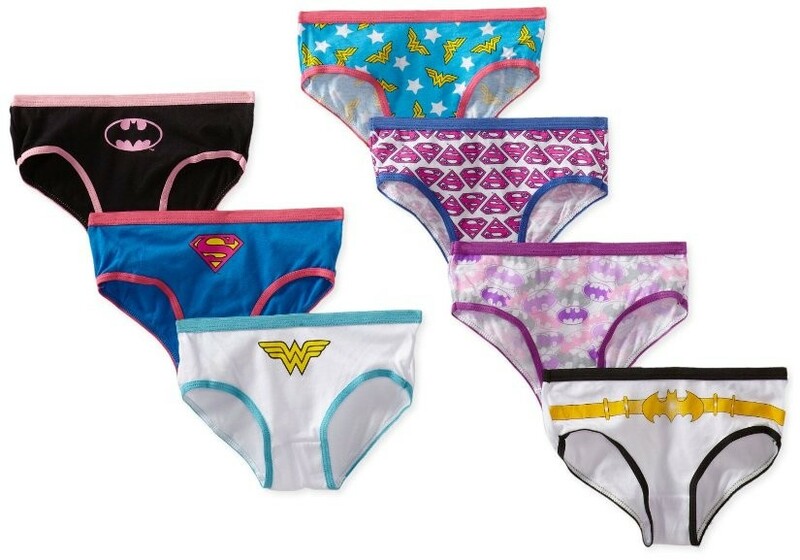 For superhero-themed underwear for teens and adults, check out these assorted superhero sets. For more superhero-related t-shirts, toys, books and other items for all ages, visit A Mighty Girl's Superhero Collection.